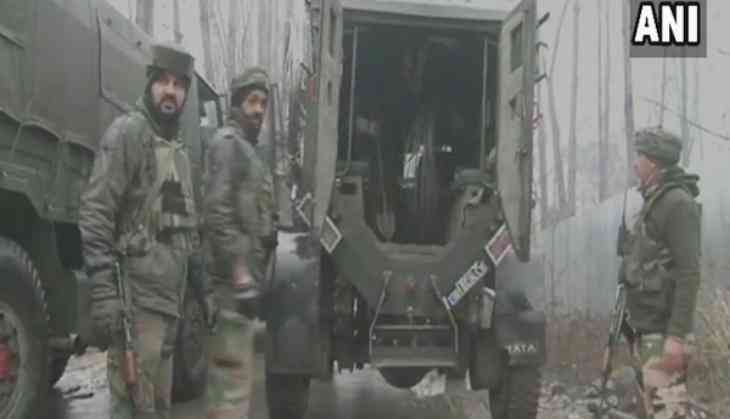 At least three terrorists allegedly from Pakistan were neutralised by a joint team of the Jammu and Kashmir Police, the Rashtriya Rifles (RR) and the Central Reserve Police Force (CRPF) in Unisoo of Handwara in Jammu and Kashmir, official sources said on Monday. Director General of Police (DGP) of Jammu and Kashmir SP Vaid took to Twitter and said, "In Unisoo, Handwara all the three terrorists apparently Pakistanis have been neutralised by Joint team of J&K Police, RR & CRPF." According to police, a local woman also lost her life during the late night cross firing on Sunday as she was trapped in a house where the terrorists were hiding. Police said the terrorists were likely to be members of Lashkar-e-Taiba (LeT) and arms and ammunition were also recovered from their possession. The search operation is on in the area.